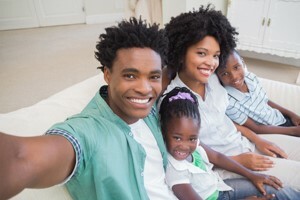 Why Have a Life Insurance Policy from Sanlam? Because many people don’t quite understand how life insurance works, they believe its a scam. The problem lies in the fact that death needs to occur within the coverage period. It’s a bitter blow when someone dies outside the term period and receives nothing. Another thing that makes people sceptical is that when comparing life insurance among friends and family, they wonder why their premiums are so different to other peoples. The cost of the insurance will always be different because it depends on things like age, gender, health and your risk profile. So Why Have a Life Insurance Policy from Sanlam? There are so many questions surrounding life insurance. How much coverage do you need? Should it be life- or term life insurance? When you want your questions answered about life insurance, you need to rely on the experts. Sanlam has been around since 1918. They take a lot of time to understand the needs of their customer and to this end they offer ideal life cover plans tailored to their client’s individual needs. The beauty about life insurance from Sanlam is that your beneficiaries won’t pay tax on the proceeds of your life insurance. Also, if you are diagnosed with a terminal illness, and you’re expected to live for a year or less, you will receive an immediate tax-free, once-off pay-out. With a life insurance policy from Sanlam, you can combine life insurance, critical illness cover, disability cover as well as income protection with other offerings as well. For instance, for an additional cost of 35% of premiums, you can add a Cashback benefit to your plan. When you take out life insurance, underwriting such as medical tests and also lifestyle questions will influence how long it takes to issue your plan. Make sure you answer your questions accurately to prevent any hold ups. Express cover – simplified underwriting process at competitive rates. For cover up to R1 000 000, you need no medical test. If you take more than R1 million, there will be 12 medical questions to answer. They may require a nicotine- or urine test. Matrix cover – traditional underwriting which involves more health questions. With matrix cover, you may need a blood test and medical examination, but then you’ll be getting more benefits and more cover. You never know what life will dish up and if you’ll even be alive next year. Sanlam offers a broad range of comprehensive insurance products at affordable prices. And what’s more? You’ve got the surety that you’re dealing with a reputable company.